As the discussion around artificial intelligence (AI) develops, questions such as “should we be afraid of AI?” and “which jobs will be created by AI?” are being asked. Regardless of how valid or otherwise these questions may be, there is one question to be asked of any new intelligence, “what will it do for me?” The answer in AI terms is, whatever you want. AI is being applied in more ways than ever imagined, and is being considered in different formats for different outcomes. This is the exciting part of developing and implementing something so new. However, there is a step before this where it is stripped back to its essential features and the extent of its use is explored. Enter standards. 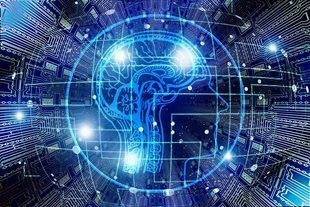 While Standards Australia is working on a number of critical AI projects at a national level, pushing ahead on AI standards without the rest of the world would be unhelpful given that this is very much a global topic. As such, it is up to the joint committee of the International Organisation for Standardisation (ISO) and International Electrotechnical Commission (IEC) (called JTC1 – Joint Technical Committee 1) to bring countries together to work on these international standards. But stepping away from the question about what is happening with standards creation, let’s go back to the start and ask the question: why standards? World Standards Day 2018 (October 14) drew global attention to the successes and opportunities of Industry 4.0 and prompted a deeper look at standards as tools supporting this type of rapid change. Without standards, who knows, “AI” might mean something very different in China compared to in the USA, and something completely different in Peru and India, compared to what it means in France. Standards set a language so everyone speaking “AI” does so in the same language, regardless of their native tongue. Beyond this, the full extent of AI application possibilities are not yet known – and most likely it will never stop as the technology is developed. In this case, standards have a role to play in ensuring as the technology evolves it remains compatible with all of its applications. AI is a major factor in the growing impact of Industry 4.0 and as we get ready to acknowledge the impact of standards in this current industrial revolution on World Standards Day 2018, it is timely to think about how this innovation and the social benefit it brings, will be maximised with the role of standards. AI is the fuel of a self-driving car. AI is the first line of defence in new cyber security technologies, and AI could even be the nurse on triage in the emergency department. But for AI to be all these things, we need to have some common language and ensure it works with all types of cars, ensure it aligns with all types of cyber security, and before it starts supporting our health system there needs to be a number of checks in place. Ultimately, standards have the potential to be the engine to an AI machine.